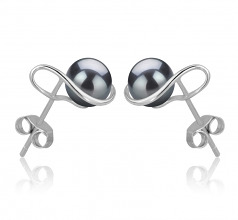 This 6-7mm AAAA Quality Freshwater Cultured Pearl Earring Pair in Tamika Black is designed to complement your natural beauty. 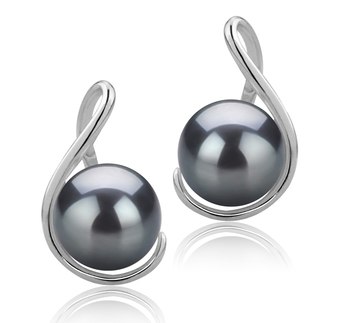 The rich and full round black pearl is embraced by a sterling silver leg. 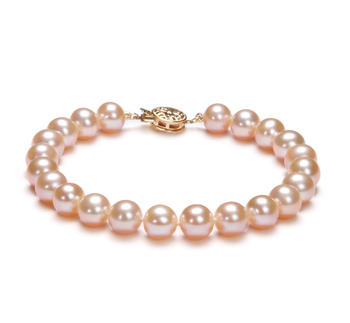 An AAAA top quality is obvious in its shape, body, luster and overall grade, so your investment is valuable and long-lasting. 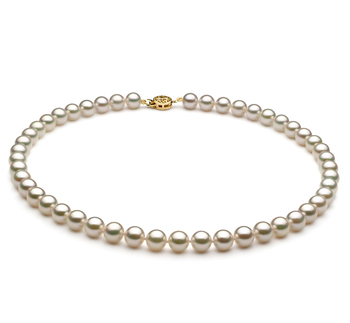 Its luster represents the true depth of the sheer elegance and timeless sense of the black freshwater pearl. 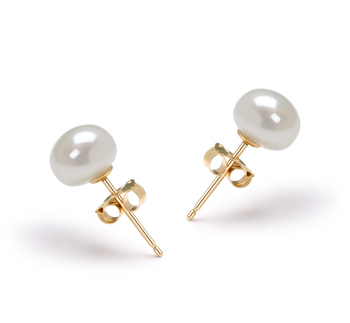 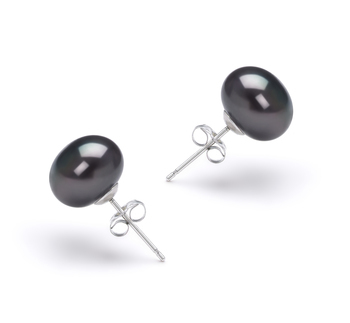 This black pearl Earring pair is set on sturdy stud posts and have a light weight. 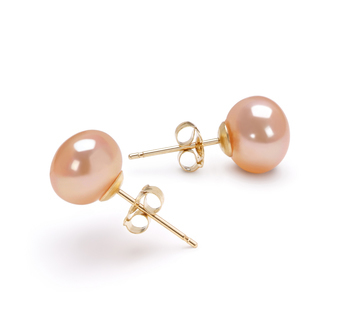 Make sure to wear your hair up in order to enhance the elegance of these black pearl earrings. 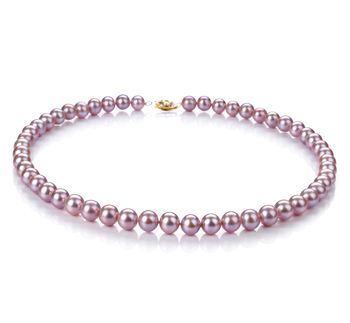 You can even team them up with a black pearl pendant or a black pearl bracelets with pearls of the same 6-7mm size.